Can you believe that these beautiful ornaments from www.michiganeggconnection.com are made from real egg shells! Although made from egg shells, they all have coatings on them that make them just as strong as any glass ornament and some are even stronger than glass! Don't be afraid of these beauties. They will sparkle and show so well on your tree. 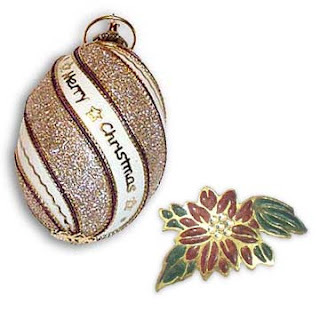 There are glittered ornaments, silk print ornaments, smaller ones with other designs on them…. And all at wonderful, affordable prices. Start a new tradition and add egg art to your decorating or gift giving this year. Another treasure at www.michiganeggconnection.com is the egg art pins. They are cut from thick shells called rhea eggs. Then the design is done with colored epoxy on front and a thick coat of it on back, so they are very strong and safe to wear. And also just added are pendants and earrings! So beautiful. They all make great gifts… and there is so much more to see too. Isn't he just the cutest? I LOVE LOVE LOVE these fun, new polymer clay beads! I found a new polymer clay artist and she is amazing...just what I wanted, talented and detail oriented! 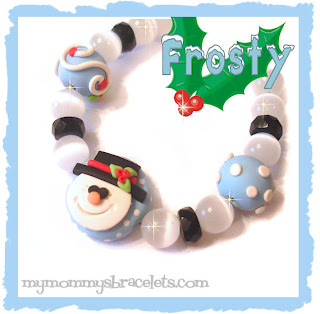 Frosty along with some of his other "friends" can be found in the HOLIDAY section under Christmas Jewelry. Each of these designs are only available for a limited time since I have the beads made when an order is received. Don't forget...shop early to avoid shipping costs and delays in processing! Orders are currently taking 1 week or less before shipping. Mark your calendars! Mommay's Mayhem is having a Virtual Cookie Exchange starting December 5th! They will be having great giveaways for all participants! Dig out those tried & true cookie recipes and get ready to post them on your blog on December 5th then go back there and post your link! 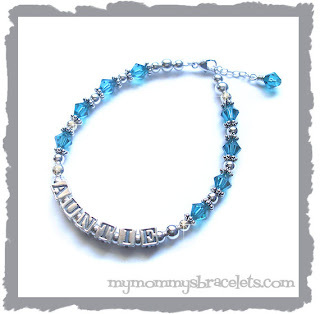 Yours truly is sponsoring by giving away a pair of genuine Swarovski Crystal Christmas earrings!